8 Weird ways to make toilet better. So, toilets have been around for a while now. Toilet use can be dated back to 2500 BC in Indus valley civilization, where they were just pits connected via pipes to the waste water flow of the city. And their design haven’t changed much over past 4500 years. So, I think toilets are long overdue for some change. If we consider an average person spends 20 minutes per day in toilet, we can figure that he will spend 405 days of his life sitting on a chair with hole and staring at a wall or a door. And we can definitely do something about it. So here are 10 weird ways to make toilets better and productive. 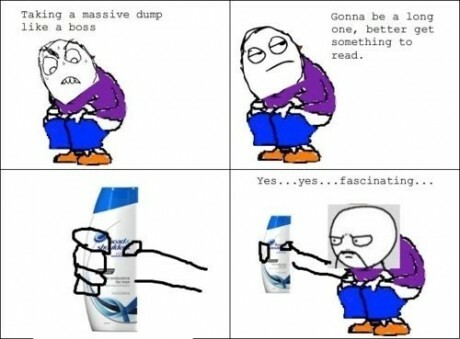 You know, when you are doing your business and you waste time reading content of the shampoo bottle, you know it is complete waste of time but you don’t have any option. Or when you are at a public toilet and there is all sorts of vulgar graffiti on the toilet wall and you cannot help but think how creative people can get with these things. Well, we can make better use of your time in the toilet and post some puzzle cards on the toilet walls to make you sharpen your intelligence when you are at best of your concentration. Of course this will work best in public toilets of offices or universities. Well, Not much explanation required here, You can weigh yourself before and after you do your business and get to know a useful statistics about your health. Everyone feels sad when we have to empty whole flush tank for just a small piece of “ business ”. Well, we can design smart flush which will dispense only enough water to carry the “business ”. There are many people who take lot longer than average to finish their business, the only problem with this (apart from the one when other people have to wait in front of toilet for uncomfortably long time) is that the toilet gets filled with pleasant odor of “business ”. To tackle this problem, Flush can be programmed to flush some water after specific interval of time even when the person is solving the puzzle. The door handles and knobs of the toilet can be coated with antibacterial materials( eg. Copper) to prevent spread of diseases. If you don’t know what hydrophobic materials are, watch this video. Now imagine if the toilet sink was made of such material, You won’t need to flush water second time just because of some sticky “business ”. 7] Toilet To-do list app. A mobile app can be made that notifies you to plan your schedule when you enter the toilet. So that you can use your free time to manage your busy time. 8] Data analytics for Public toilets. Many things are possible today due to advancements in IOT and other smart technologies. These technologies can be applied to improve the public toilet systems. For example. If we know which toilet is used most by the public and when, then the cleaning schedule can be optimized to reduce cost and improve the overall sanitary condition by cleaning those more used toilets ,more frequently than others.